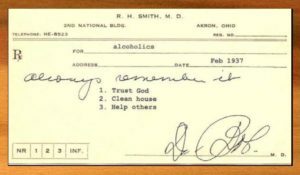 THE TWELVE STEPS OF ALCOHOLICS ANONYMOUS A.A.’s Twelve Steps are a group of principles, spiritual in their nature, which, if practiced as a way of life, can expel the obsession to drink and enable the sufferer to become happily and usefully whole. 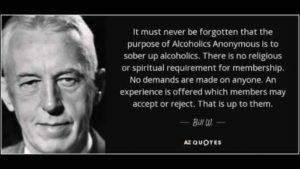 THE TWELVE TRADITIONS OF ALCOHOLICS ANONYMOUS (Short Form) A.A.’s Twelve Traditions apply to the life of the Fellowship itself. They outline the means by which A.A. maintains its unity and relates itself to the world about it, the way it lives and grows.